If you or someone you know is trying to quit smoking this may be the help they need. 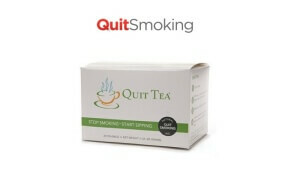 Request your free quit tea samples while they are still available. If you have any difficulties with this freebie contact info@quittea.com to find out the status of your samples.